Just beyond the city of Indianapolis, heading west on Interstate 70 is the small town of Plainfield, Indiana. It is here, flanked by cornfields, that the headquarters of the Islamic Society of North America (ISNA) is located. ISNA has for many years represented itself as an umbrella organization to Muslim communities, a common hub for the exchange of ideas and resources. Today, ISNA’s vision is succinctly stated as “To be an exemplary and unifying Islamic Organization in North America that contributes to the betterment of the Muslim community and society at large.” However, it is perhaps best known for its annual convention in which tens of thousands of Muslims typically gather over Labor Day weekend. With the wheels of the tractors clattering and the thud of the trees felled, MSA’s $3.4 million project for a mosque and library took off on an auspicious day of Ramadan 1, 1401. The agreement signed between the MSA and the Delbert E. Wilsey Construction Company (Indianapolis) and the Dana Engineering Co., Inc., a Muslim architectural firm operating out of Chicago provides for an eight-corner mosque with a dome, though the dome will not be visible from the outside. It will also have a mezzanine, a kind of partial second floor for women. When completed the mosque will have a capacity for 500 people, with separate entrances and wadhu [sic] (ablution) areas for men and women. The library, as envisaged in the plan, will contain films, slides, videotapes, and about 300,000 titles classical and contemporary Islamic writings in English as well as Arabic. The proposed library is expected to be a storehouse of unbiased Islamic research and knowledge. Having grown up in Plainfield, my earliest memories of the headquarters were often of its unique library space. The main level of the mosque is divided into two large spaces, the first being the prayer hall, restrooms and lobby. 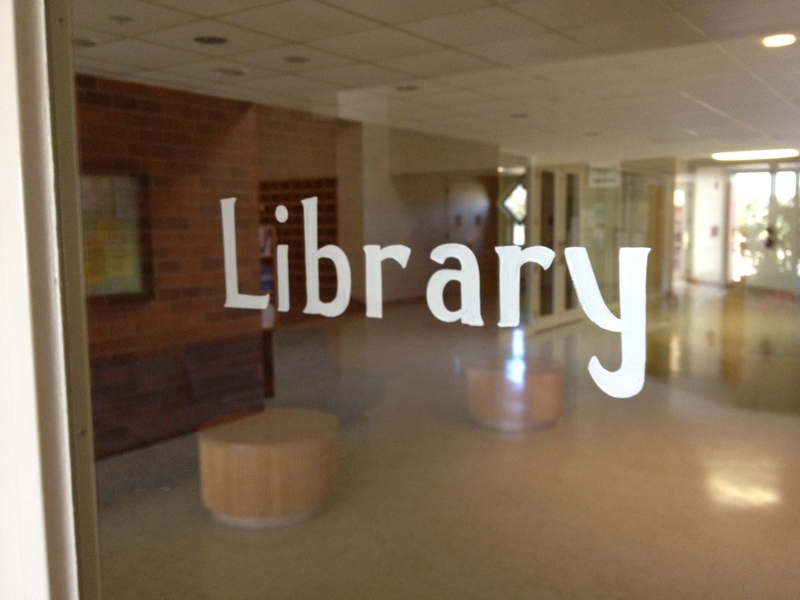 The second space, for the library, was beyond the set of glass doors in the above photo. During the late ’80s and early ’90s I remember there being a large curved circulation and information desk, with a return slot and fully equipped. I also vaguely remember a hinged half door that separated the public reading area from what would have been the librarians’ offices and work space. 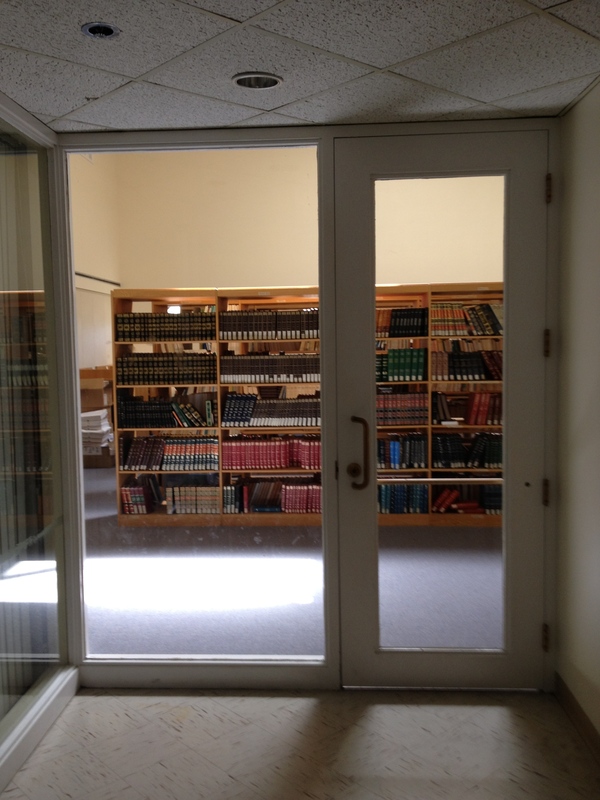 A second set of inner doors led into the library proper. 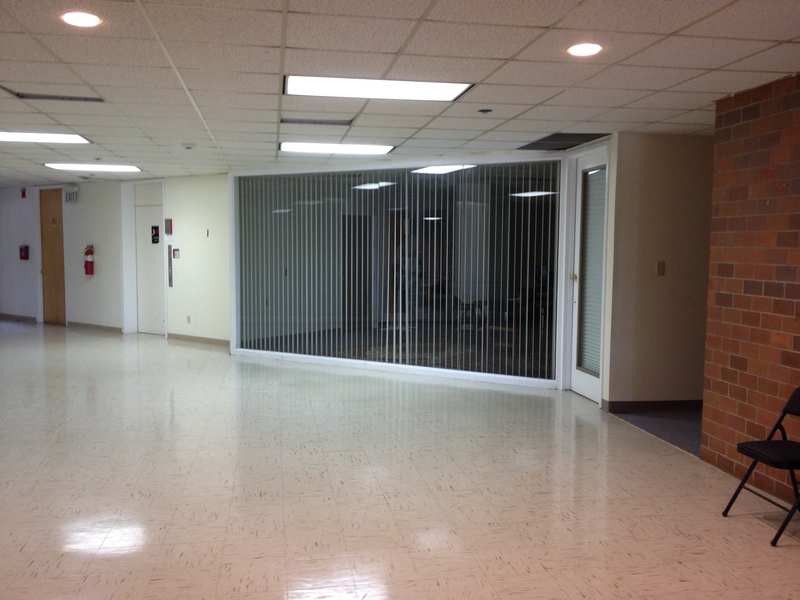 This ample space was crowded with bookshelves, card catalogs, and reading chairs. A section of the library space still opens up to the second floor allowing for a surrounding balcony to look down upon what was once a reading area with study carrels and what is now the main library stacks. Despite the careful measures that were taken to establish a library, I have no recollection of the library being heavily trafficked.To my memory, the library was often dark, the card catalogs empty, and the circulation desk vacant. 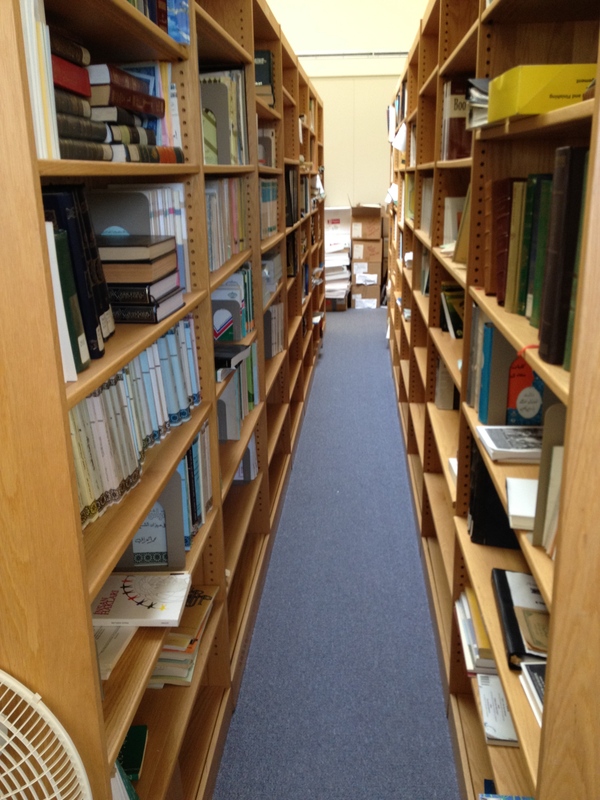 Today, all the remaining books have been consolidated into one compact area with the remaining library space having been converted into offices. There appear to be a number of useful works of either scholarly or historic value remaining, but a handlist or catalog that documents these works still needs to be made. Beyond the in-house library, ISNA had also initiated a Library Assistance Program and a Film Loan Program. Library Assistance Program: This program is designed to set up a library or augment the collection of existing Islamic libraries in local organizations. 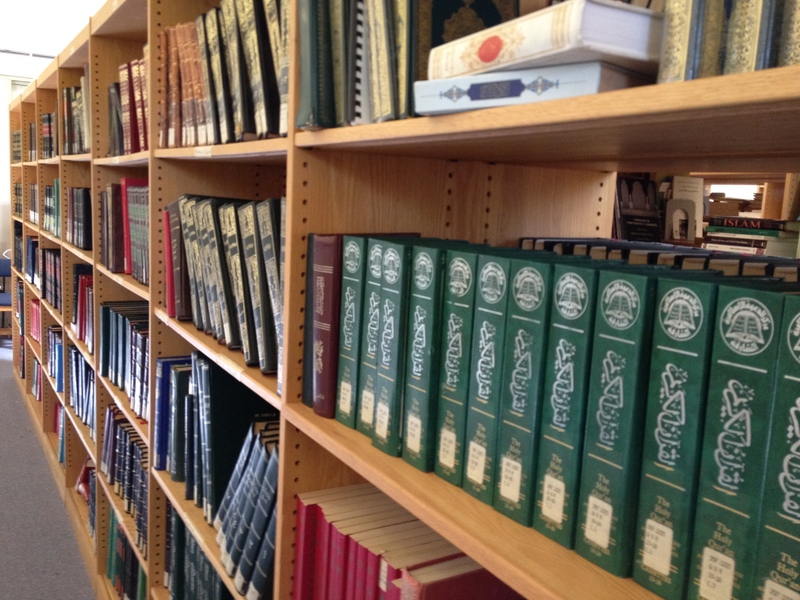 Over 237 books were donated to six Islamic centers or masjids during the period. A large set of books, pamphlets and other literature is in the process of being mailed to all MSA chapters and MCA affiliates. The Film Loan Program: The Program did not add new films to its collection in 1984-1985. During this period it loaned 23 films to local organizations. An estimated number of 2,000 persons viewed these films. 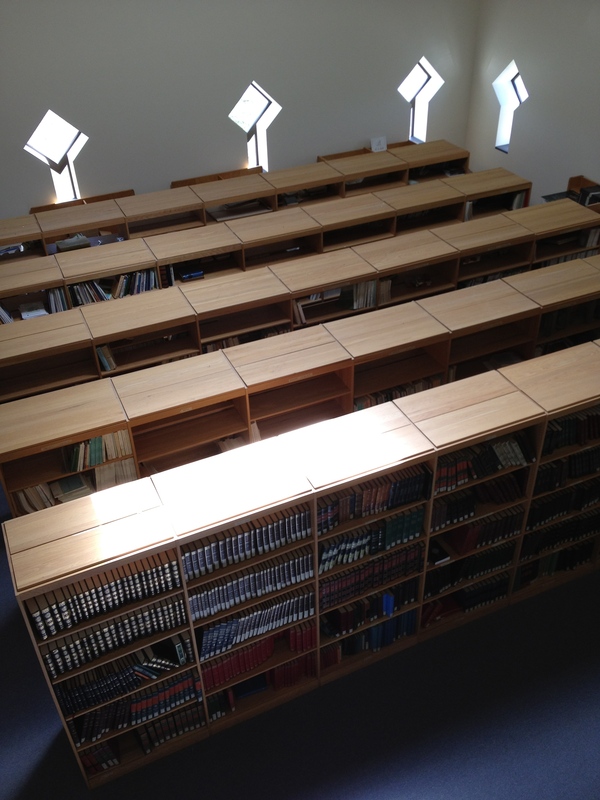 In a recent visit to the ISNA headquarters we decided to photograph the library space as it stands now. We are hoping to obtain a grant in order to return and properly document the materials there. For more images see the Gallery. Islamic Society of North America. 1981. “MSA’s Project Finally Takes Off.” Islamic Horizons. 10.8 (1). Islamic Society of North America. 1984. “Services and Resources.” 3rd Islamic Society of North America Annual Report. 9. 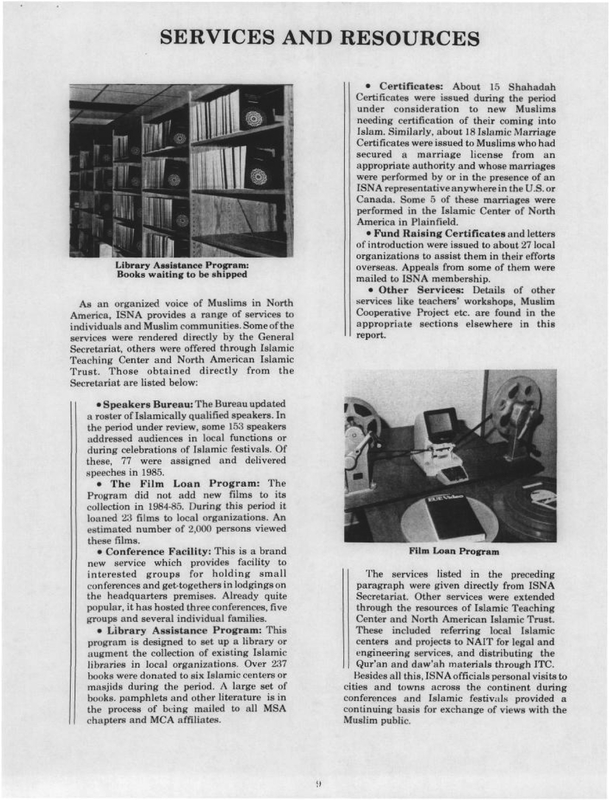 Annual report images taken from the Archive of Muslim American History and Life.